What and adventure, what an experience, what an awesome time we had living in The US of A. We can now look back at a memorable time, living in The USA, what a privilege it has been to be able to this and make a dream come through. Almost six months living abroad, taking our daughter to school to give her an once in a live time experience. We feel so blessed that we were able to this, giving her this experience, meeting so many wonderful new people in our lives. Camy has learned so much at such a wonderful school, St. Lukes Luthern School, words can not describe this. Camy came with some knowledge of the English language but left with great knowledge, now able to speak and understand everything that is said. 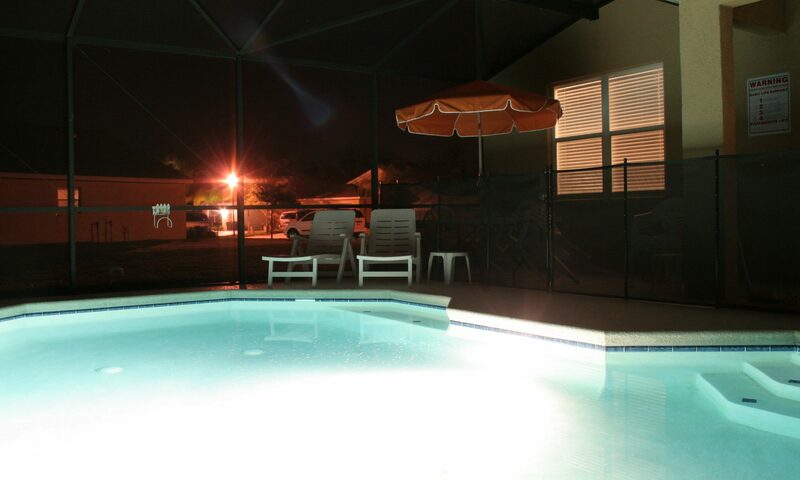 Villa Vanderlaan, Florida, USA, we will be back soon! has come to a close. We had the alarm clocks set at 4.30AM. Everybody take a shower, get dressed and clean up the last items. We made the beds and everything that is unable to travel is put in our private closet. Taking the last pictures prior our departure, doesn’t that look good? At 8.30AM the first flight, for my mom and Brams parents, departed from Orlando Airport. Unfortunately the flight was totally full so we had to wait for the next flight departing at 11.30AM. Good for us this flight has some open seats left and we were even able to sit with the three of us. At 2.00PM we arrived at Detroit airport where we saw the granny’s and pops. This is grandma’s and dads flight to Detroit, we have to wait three more hours before we see each other again. We had an hour to relax prior the departure of our flight into Amsterdam. At 4.00PM the first flight out of Detroit departs to Amsterdam, the flight looked good and without waiting till departure time we were accepted pretty early. So the six of us were able to all fly home on the same flight. At 3.45PM we had all embarked the aircraft when we were told that because of a deficiency we had to wait. The slide was deployed and it would take some time to solve this, maybe up to 24 hours, we were told. Here you are waiting to depart …. but no it is not happening. We were given some drinks and snacks and after an hour we were told that all looked good and we might be able to depart within 90 minutes, excellent! Ahum, not so quick, not even five minutes later we were told to disembark and depart with another aircraft. This aircraft will not fly today, so everything had to offloaded, cargo, mail, bags and catering. At 6.00PM it was 00.00AM and thus 2015 in Holland and since we still were in Detroit we wished each other a happy New Year. With the six of us we had our own New Years celebration, looked like we were the only Dutch on this flight. I guess you get it, after more than three hours it was time to depart, everybody embarked the new aircraft and off we went, well wrong again! Now we had to wait because there were too many bags loaded, there was one passenger that was not on board but his bags were so those had to be offloaded first. After some 30 more minutes it was finally time to depart. We were glad we did because all the waiting starts to get to you after all these hours. After an easy and smooth flight we arrived at 8.00AM local time at Schiphol Airport. Because of the fact that it was January 1, 2015 it took us three hours by train to get home. Today we first are going to clean EVERYTHING up, pack ALL bags and get READY for tomorrow. All items we found and painted are back to its original spot and I have to say it really does look good. Thanks mom for painting and Hetty thanks for styling. The frame is an actual Disney frame, we bought two mirrors at a garage sale for $5.00. One of them still looked mint and we hang it at our stairways. And the other right here outside, we took the mirror out and only used the repainted frame. The white tile was already there and the outer white frame belongs to the Villa. I found this high chair somewhere down the road, someone did not need it any longer. It used to be black and white, but we repainted it. The copper pot on top was painted white as well, I got it from Carole some time ago. I also found the orchidee and fits real nice in the copper pot. The wooden shoes, I had brought them along from home, long time ago, and I painted them white as well. The white basket you see is one that I bought at Goodwill for $2.00. The flowers are fake and I found them down the street as well. Since we have got nothing left to eat at home we went to The Waffle House and got ourselves a pancake. After we were done here we had to stop by at Walmart, we needed some new sheets. At Ross we had to settle something as well, so we made a stop there as well. One of the shirts we bought for Bram still had the electronic pin in there and had to be taken off. We also had a reward card from another store so we stopped there as well. By the time we were all done it stopped raining so we headed towards Congo River, we wanted to play one more game of miniature golf prior going home. Oh, where did my ball go, ooh it is in the water this, one extra point added to the scorecards. After this sport activity we drove off to Celebration, every hour between 6.00PM and 9.00PM snow (soap) is falling down on Market street. At home we took care of the last couple things before we head home tomorrow. And now off to bed, the alarm clock rings early tomorrow morning. Still on our to do list, before going home, was a day at the beach. So we decided to go to Cocoa Beach, the weather was superb once again, so we picked the right day. But before we headed towards the beach we had to welcome some visitors first, Kathy and the kids had never seen our Villa and since she was down from New York now anyway, why not stop by. John, Tammy and John Michael joined her and the kids as well. When all the company had left we got our stuff together and left for Cocoa Beach, which is about a 90 minute drive. Some time ago we bought tickets for a Football game in Tampa. Unfortunately Bram was still not feeling too good, he still has a major headache, and stayed home. So we headed towards Tampa with the five us and I was the one driving. Game time was at 1.00PM but because it was a little chaotic around the stadium with cars and fans we did not make it to our seats until 1.30PM. And it was not because we did not leave the house in time, we had left at 10.30AM. Our seats were all the way on top of the Raymond James Stadium, in a corner, where we were able to watch it real good and enjoy the sun as well. Awesome, the height and all those fans. This is the famous pirate ship, with every touchdown that is scored by Tampa Bay Buccaneers it fires a canon ball and makes the entire stadium shiver. At 3.30PM we left the stadium and walked back to the car, at about 5.30PM we were home again. Bram felt a little better and even watched some of the game on tv. It was another great experience to attend a great show in such a large stadium with another 65.000 fans. Today we did some cleaning before e left home and hit the road. My mom cleaned the windows and took down the luxaflex. Hetty took care of the utility room, that is where the washing machine and dryer are, and cleaned it all. Granddad Bram cleaned all the carseats, high chair and potty. Once we were all done it was pool time. The sun worked well, it still feels so warm and at the same time we took notice of the weather back home, SNOW. Today we did not do too much, just a lazy day. The garage was still stuffed with all sorts of things which needed to be cleaned up. So that is just what we did. Garbage was to be picked up today so it was time to get as much out on the drive way as we could. When we put everything on the drive way, people stopped by right away. Can we this, can we have that? In the end everything ended up at the next door neighbor. Everybody happy! After cleaning up I started packing our bags, we had three suitcases but that was not enough, aaah we bought too much stuff I guess. So at about 3.30PM we went shopping for things we needed to get and where on list. First stop was Tommy Hilfiger, grandpa needed some new shirts and sweaters. Bram did buy three nice sweaters as well and a nice looking coat. After we were done we walked over to Dollar Tree to get some little things. At Walmart we and Brams parents bought a new suitcase and some last things before heading home. Last cards were delivered by the mailman, thanks! We set the table and put the Christmas tree on it as well, something different. It still feels strange to be in Florida while it is Christmas. To us when you talk about Christmas you think about cold, snowy days, well none of that here. Now, lets unwrap our presents first. It was a little cooler today than previous days, yesterday it was pressing today there was a little breeze. But because of that the water felt much better. With our crochet hats, made by Carole, we had lots of fun. And that feeling, being in a pool on Christmas day, awesome! At 12.30 we drove towards Jack and Carole, we were invited to celebrate Christmas Day here. We were welcomed with some presents, Camy got a cover, two bracelets and nail polish. The girls had a candle and a bracelet. The gents received home pants and socks. Really sweet and a big thank you to Santa Claus. Carole had the two tables set up in the living with the old silverware. The biggest surprise was that Kathy and her two kids, Sean and Tara, were down here, they drove all the way down from New York. It was good to see her and the kids, it was about five years we had last seen one another. We had a great time and chatted and chatted until about 7.30PM when we headed back home. What better then to start the day with a dip into the pool. It is o so good here, enjoy the moment, next week we are back into the cold! And how about some coffee outside, fabulous! See them enjoy it! But after relaxing for a bit it is time to get some work done, hihi, no holidays here. So one granny worked the bed and made look like brand new again. And of course granddad helps out, the weather and temperature are still good, maybe is does not look like that but it certainly does. And the other granny did some painting. At the end of the day we took off for Celebration. We were invited to chapel and attend the worship held at Celebration High. There was suppose to be some hot chocolate and a picture was to be taken. After church we went to Steak ‘n shake for a delicious burger and fries and of course the famous milkshakes. We started the day by diving into the heated pool and had a little fun with the six of us. After we were all done and had enough of the pool we drove to Orlando. We went to see a storage wars auction, just like the ones on tv. The first couple of boxes did not sell for more than $25.00 a piece. There were about 30 people who participated in the auctions and some of them found it funny that we came over all the way from Holland to witness the auction. We told them about Barry, Jarrod and Brandi and that we wanted to see this in real life. We had already seen an auction some two years ago in Kissimmee but our parents had never seen it before so we took them to it. We backed up, after we had seen the inside of the box of course, so the experts were able to get into a bidding war. The highest bid was around $250.00. Some boxes were filled to the top others only had a couple of chairs in it. We had dinner at Chili’s later that night.